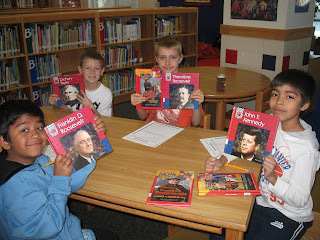 Every year at Taylor third grade comes to the library to research U.S. presidents the week we have the President's Day holiday. 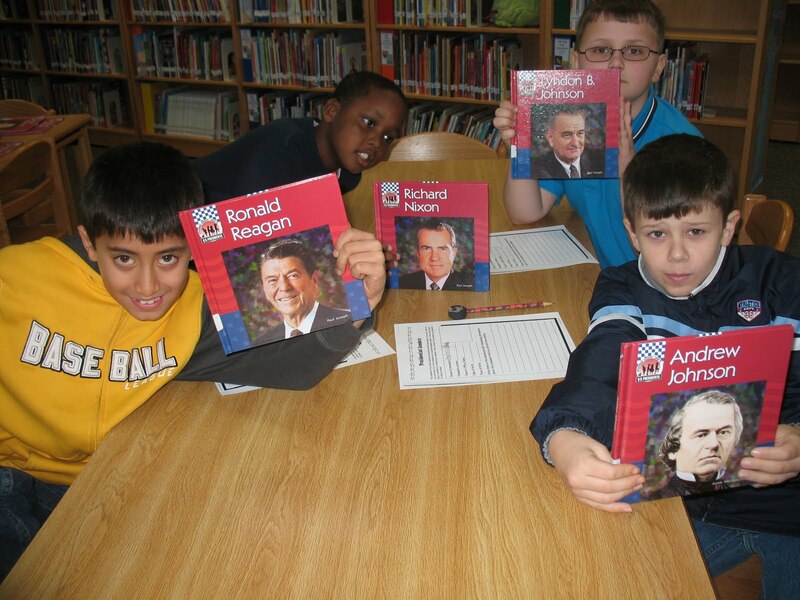 Each students chooses a different president to research. They learn many interesting facts about their presidents and so do I!